Reading is an important part of who our family is, which is why I’ve partnered with Simon & Schuster for this sponsored post! These tips below will encourage your child to love reading and are exactly what we’ve modeled to our children as they are growing up! Teaching children to love books at an early age is a vital step in ensuring a lifelong love for reading – but not all kids have the same love of books that you might have! Thankfully, there are some easy ways to engage young readers and encourage them to be reading superstars! First and foremost, spending quality time with your child reading books goes a long way! 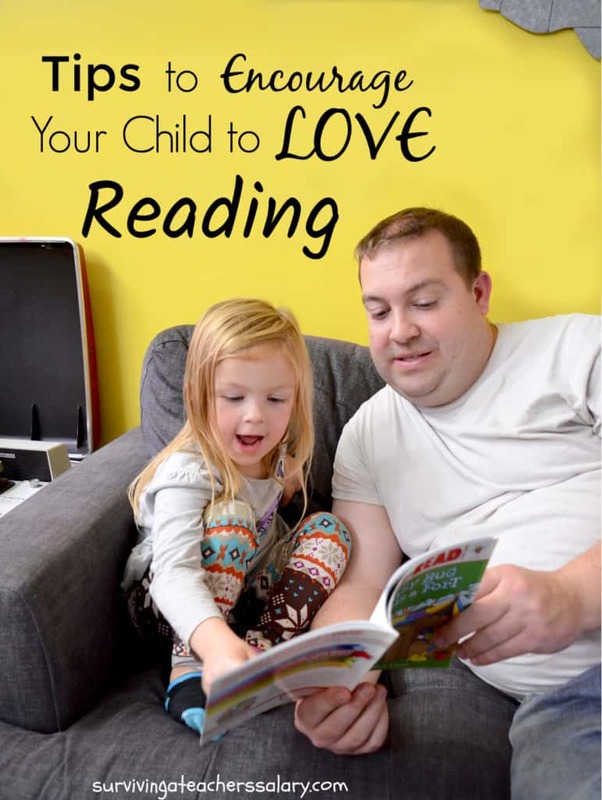 It can be as simple as picking up a book at bedtime and reading with them for a few minutes! Read to them EVERY day! This is perhaps the easiest habit to start with your kids! When my children were little, we started this as soon as we could, even if they didn’t always sit for a book as toddlers! Choose an interactive book (textured, flaps, etc) to encourage them to stay put for the length of a short book and ask them questions about what they see on each page. As they get older, switch to Ready-to-Read books which are leveled based on your child’s ability. 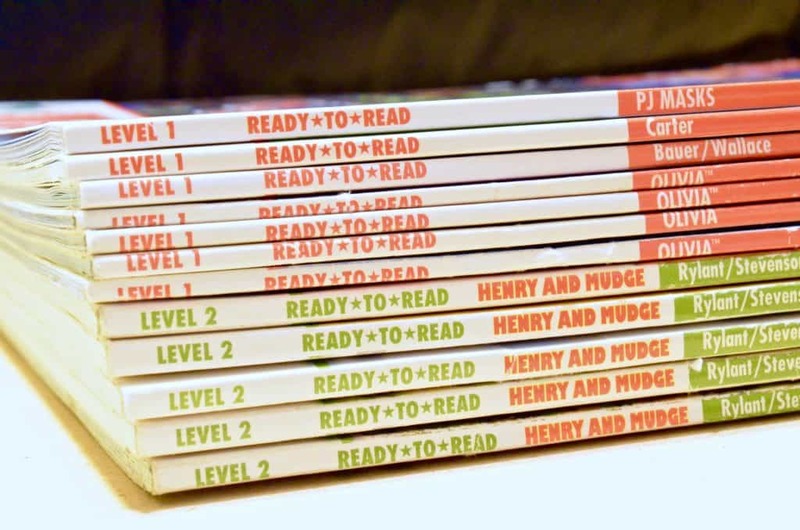 Ready-to-Read books have 5 different levels and are perfect for kids ages 4-10. Each level up increases with your child’s ability and is color-coded so you can quickly determine which level the book is! There are all sorts of favorite characters and stories for your children to choose from! An easy routine to start is to pick out one of their own Ready-to-Read books to read every night at bed time. Let them see you reading! One of the toughest things to add to your schedule as a busy parent is reading books! But it’s so important for our kids to see us curled up reading a book! 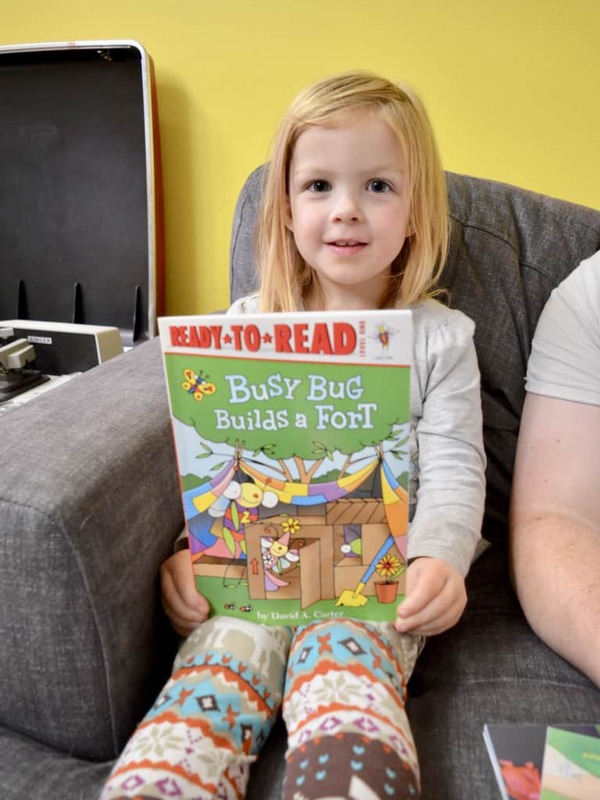 Modeling reading and letting them see you enjoy your nose in a book is not only a great way to relax and take care of yourself, but a great way to show your kids how much you love books! Every few months, we try to schedule out an entire Saturday where we can sit around a read a good book! It’s one of my favorite days of the month! Give them their own stack of books & leave them out! We’re ALL busy! 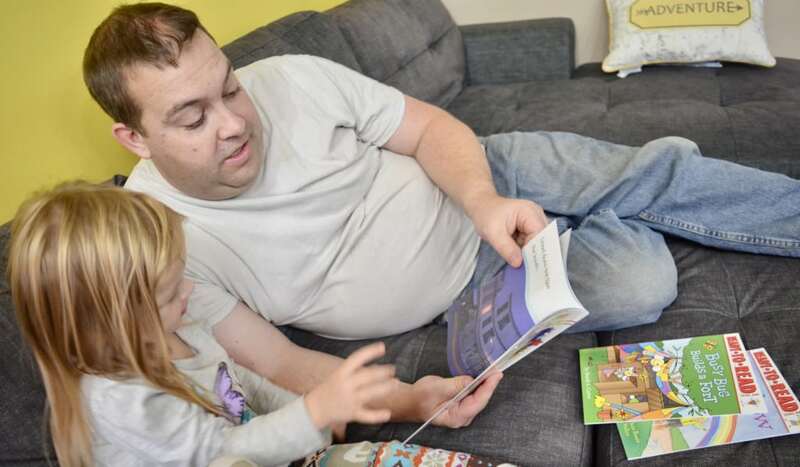 I sometimes struggle to find the time or energy to read to my kids – life happens! We leave books in stacks around the house visible and within easy reach for the kids to grab anytime they want to read! Yes, it can be messy. Yes, pages can get bent. But what good are books that your kids can’t access? We leave little piles on nightstands, bookshelves, tables near the couch, in the reading corner, and even in the car! Take them to the library. When my boys were little, we used to go to the library ALL the time! Now that I have both older and younger children, I find it a little more difficult to get to the library as frequently. So we’ve started going to Little Free Libraries across the country! Even if that means going to a Little Free Library just so you don’t have overdue fines! (Not that I know anything about that – haha!) My kids will bring some books to read on a road trip, and as we drive from place to place, they will swap out their books for new ones to read and keep them occupied in the car! I can’t wait to put up our own Little Free Library someday and add a whole pile of Ready-to-Read books inside for other kids to read! Reward them with new books. Whether your child is potty training, losing a tooth (tooth fairy gifts!) or celebrating something special – choosing the right book to gift your child can make all the difference in getting them excited about reading! 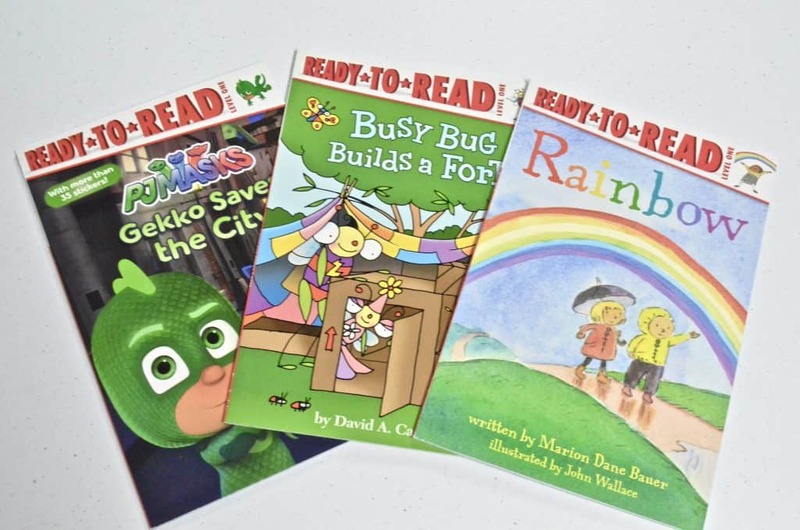 Ready-to-Read books have nonfiction stories, original stories and everything in between! It allows you to choose the best style and option for your child! Build a cozy book corner! 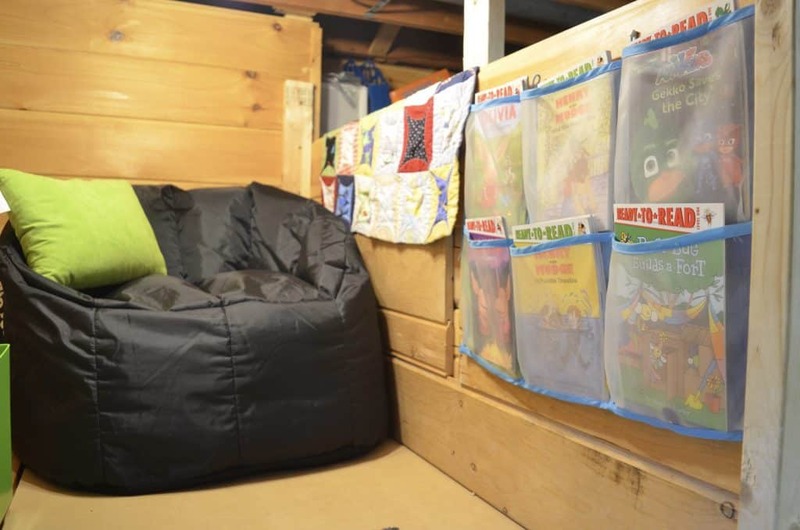 It doesn’t have to be fancy – a simple bean bag or pile of pillows will do! Above, you can see our children’s book corner. I have a storage organizer hung up to hold some books with buckets of books also nearby. A pillow and blanket are an arms length away while they are sitting on their bean bag chair and the area is well-lit! Plan road trips around books! Does your child’s Henry and Mudge book talk about going to a park? Head to your local park and see if you can find the same things Henry and Mudge did! Maybe Olivia went skating – grab some skates and spend time learning a new skill with your child! Giving children the opportunity to experience the same thing as their favorite book characters helps bring their stories alive! Creative an incentive chart! Most kids LOVE stickers and visually seeing how many books they’ve read, then rewarding them, is a great way to encourage kids to pick up a book! You can easily create your own reading chart or print one of our free ones here. Set a goal, let’s say 10 books, and when your child has read 10 books, then they can earn a new book or a trip to the library! If they are too young to read by themselves, then you can sit with them and help them read, then add a sticker or checkmark on their chart! Participate in summer reading programs. This is an easy way to get your kids excited about reading in the summertime! Keep an eye out on our page when it gets close to summertime or contact your local library to find summer reading programs! Print out FREE children’s activities kid’s activities, certificates, e-cards, and more here!